Our range of products include alimta injection, bortenat injection and gemcite injection. By keeping track with the market development, we are offering optimum quality Alimta Injection. This alimta medicine is appreciated in the market for its hygienic & sterile nature. The offered alimta medicine is tested in terms of quality so as to supply a quality range. 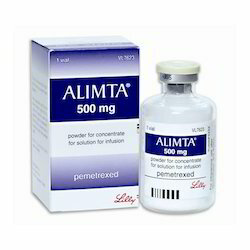 This alimta medicine is processed by making use of best ingredients by our skilled professionals. Bortenat 2 mg injection belongs to the class of drugs called proteasome inhibitors. Proteasomes are proteins which play an important role in growth and multiplication of cancer cells. 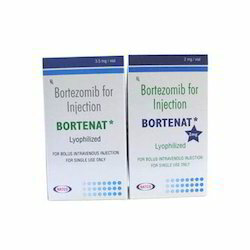 Bortenat 2 mg injection blocks the action of proteasome, and reduces the growth of cancerous (actively growing) cells. Being a highly effective, lean and fast-moving organization, we are highly instrumental in providing Gemcite Injection. 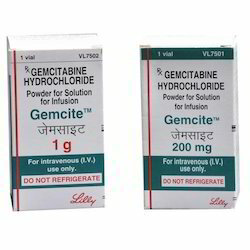 Our offered gemcite is processed by vendor’s pharmaceuticals experts by using the finest ingredients in accordance with the quality standards. Moreover, the offered gemcite is stringently tested on various parameters for supplying a quality range. Looking for Medical Injection ?